Nasce nel 1968. Dopo la laurea all’ISIA di Urbino, studia all’International Center of Photography I.C.P. 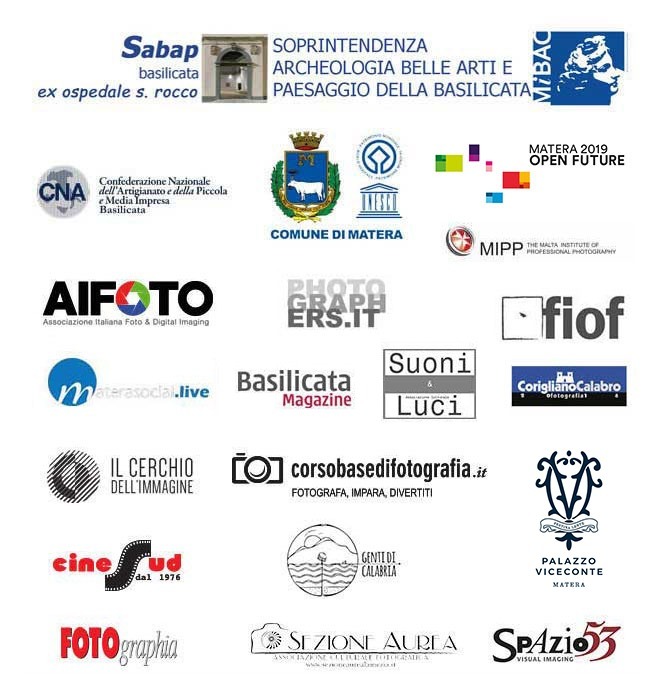 di New York città dove ha vissuto a lungo; attualmente risiede e lavora a Milano e come fotografo lavora in prevalenza come fotografo di architettura e di corporate. un lavoro sull’architetto Caccia Dominioni commissionato dal curatore Arch. Cino Zucchi. Dal 2010 è rappresentato dall’agenzia Luzphoto. for Architecture CCA un lavoro sull’architettura di Palladio e Jefferson. Born in 1968, he is a documentary and architecture photographer. He graduated at I.S.I.A. in Urbino with Michele Provinciali. And specialized in photo documentary at the full time program at the International Center of photography (I.C.P.) in New York. Romano’s work are mostly about cities, architectures and urban dwellers. He currently collaborates since 1998 with the architecture’s section of the art pubblisher Skira, to many and his work have been featurated in Abitare magazine , Dwell magazine, Domus, Io Donna, Courrier International, Huffington Post, Newsweek . In 2007 he is the winner of the grant Pesaresi\Contrasto with the project OFF CHINA about the urban development of the chinese cities. 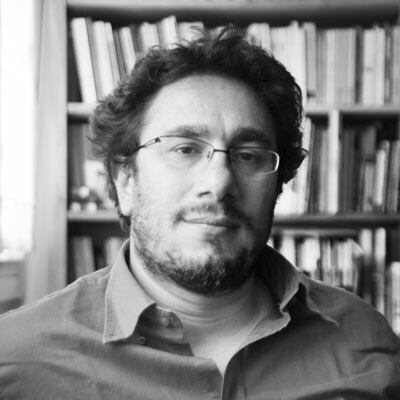 He is the co author of Soleri Town a book about the utopian architecture of Paolo Soleri in 2009 he was selected in the exhibition the Joy at the Rome photo festival with “Waterfront” a series from the project about the city of Trieste. In 2010 he was in Haiti for a photoreportage about the earthquake e his project Route 106 about the ladscape devastation by the illegals buildings in Calabria region was exhibited in the Biennale of Architecture in Venice in 2010. In 2011 he started his project about the ghetto of Mathare in Nairobi and he have been part of the exhibition “Sao Paulo Calling” in San Paulo art museum in 2012. His ongoing project about Nairobi was part of the exhibition MadeinSlum\Mathare Nairobi in the Triennale Museum in Milan in 2013. Palladio and Jefferson is a long therm research exhibited in Montreal, Canada, at the Canadian Center for Architecture C.C.A. He is a member of the agency luzphoto and currently he is a teacher at the Naba design school in Milan and in the master of photography at the IUAV faculty in Venice. Schiacciato tra i sedili di un minibus, bloccato nel traffico perennemente immobile di Nairobi, dal 2011 ad oggi, ho fotografato Nairobi in molti modi tra i quali, per appassionato sfinimento, dal finestrino dei matatu i mezzi di trasporto più popolari nell’east africa. Quasi sempre unico bianco a viaggiare con il gomito o il ginocchio del vicino addosso e la macchina all’altezza della pancia, un umile e doveroso omaggio alla bus serie di Robert Frank con la densità vitale della capitale africana negli occhi e nelle emozioni, penso sempre che i progetti, quelli che si amano davvero, non finiscano mai se non per sfinimento e per mancanza di mezzi. Fotograferò dai matatu finche tornerò a Nairobi, un gesto automatico e compulsivo nell’instabile e gentile diffidenza dei pendolari sfiniti che tornano nei ghetti a fine giornata e che con la coda dell’occhio sembrano dire con il pensiero, ma cosa diavolo fotografa questo muzungu(bianco) ? 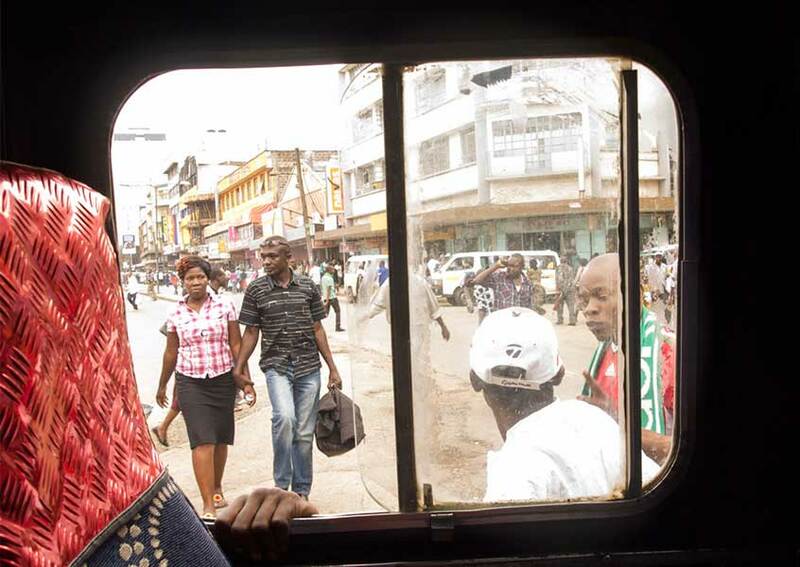 Crushed on the seats of a minibus, stock in the traffic eternally blocked of Nairobi, that’s me since 2011, year when i started to photograph Nairobi in many different ways, one of them , from the windows of the matatu, the most popular trasportation in east africa. I was most of the time the only white person travelling on these buses, standing with the elbow or the Knee of my travel neighbor stick to my body, I have been often shooting with my camera at the level of my stomach. It is a humile but necessary tribute to the Robert Frank’s bus serie, the vital density of the african contemporary metropolis seen through my eys and my emotions. I think, in general, that every project that we really love will end only because the endof our emotional envolvement or the luck of our economic means.